fantastic article from down under, find the time to enjoy the records! TWO weeks ago I was walking into a supermarket wearing a t-shirt with a picture of a 45rpm Motown single on the front when a lady, mid-20s approximately, came up to me and said: "Like your shirt. Is that one of those record things?" I thought she was joking at first, but she wasn't. It was an alarming illustration of how far we have come since the days when vinyl was an integral part of just about everyone's life. 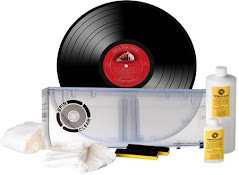 Geneva, IL — CDs and vinyl records lined the aisles as customers in their teens through their 60s scoured through them on a recent Wednesday at Kiss the Sky independent music store in downtown Geneva. “I’ve been looking for this record for a long time,” said customer Erik Pertl, of Elgin, pulling out an album by rock guitarist Neal Schon. Meanwhile, 17-year-old Kellen Maher purchased a vinyl record by the B-52s. He thinks his love of vinyl sets him apart from other teens, and he said he’s collected records long before a renewed interest began few years ago because of the indie music scene. “I’ve had a record player my whole life,” Maher said. 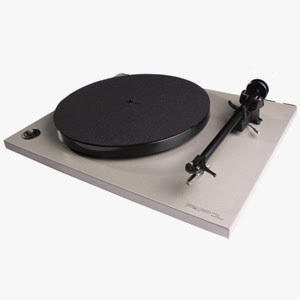 This vinyl resurgence has helped keep the store in business. The store’s owner, Steve Warrenfeltz, 59, said vinyl record sales now account for about 30 percent of his business. And that’s good for him because he said he’ll never conform to modern music media. Customers won’t find an iPod charging station or digital downloads in his store. Just then, three executives from the Aurora radio station The River walked in to discuss advertising with Warrenfeltz. Their suits contrasted the street clothes and rocker attire worn by many of the customers. (CNN) -- Etta James, whose assertive, earthy voice lit up such hits as "The Wallflower," "Something's Got a Hold on Me" and the wedding favorite "At Last," has died, according to her longtime friend and manager, Lupe De Leon. She was 73. She died from complications from leukemia with her husband, Artis Mills, and her sons by her side, De Leon said. She was diagnosed with leukemia in 2010, and also suffered from dementia and hepatitis C. James died at a hospital in Riverside, California. She would have turned 74 Wednesday. Johnny Otis, the man known as the Godfather of Rhythm and Blues, passed away at his home in Altadena, CA on Tuesday at the age of 90. Otis had been in poor health for some time. Otis was born John Veliotes and grew up in a predominantly African-American neighborhood in Berkeley, CA. At the age of 18, he started playing with Count Otis Matthew's West Oakland House Rockers and, four years later, was advised to move to Los Angeles by Nat King Cole and Jimmy Witherspoon. In 1958, the management of St. Louis radio station KWK had all Rock 'n' Roll music removed from its play list. The disc jockeys gave every Rock 'n' Roll record in the station library a "farewell spin" before smashing it to pieces. The station manager, Robert T. Convey felt that Rock 'n' Roll had dominated the airwaves long enough and called the action "a simple weeding out of undesirable music." In 1958, Rick Nelson started a two-week run at #1 on the Billboard album chart with "Ricky", which featured his hit single "Be-Bop Baby". Also in 1958, Capitol Records releases the original cast recording of "The Music Man", which will occupy the #1 spot on the Billboard album chart for twelve weeks and remain in the Top 200 for a total of 245 weeks. Meet The Beatles! is the second Beatles' album released in the United States, despite the "first album" claim on its cover. It was the first Capitol Records Beatles album, issued in both mono and stereo. Capitol is a sister company to Parlophone, the Beatles' British label, and both are subsidiaries of EMI. Meet The Beatles! opens with the December 1963 Capitol single "I Want to Hold Your Hand"/"I Saw Her Standing There", and the B-side "This Boy" from the original November 1963 Parlophone single of "I Want to Hold Your Hand". It contains many of the tracks from the earlier British album With The Beatles and shares the same cover photograph. 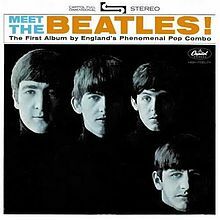 However, "You Really Got a Hold On Me", "Devil in Her Heart", "Money (That's What I Want)", "Please Mister Postman" and "Roll Over Beethoven" were omitted from Meet The Beatles! and released on the next Capitol album, The Beatles' Second Album. The cover featured Robert Freeman's portrait that was used for the U.K. With The Beatles release with a tinted blue hue added to the original, stark black-and-white photograph. "Meet The Beatles!" reached the number one spot on Billboard album charts starting on February 15th, 1964. It remained at number one for an impressive 11 weeks before being replaced by "The Beatles' Second Album"; the first time that an artist replaced itself at the number one album position. In 2003, Meet The Beatles! was ranked number 59 on Rolling Stone magazine's list of the 500 greatest albums of all time. In 1965, the Byrds recorded "Mr. Tambourine Man." The master take of "Mr. Tambourine Man" was recorded on January 20, 1965, at Columbia Studios in Hollywood, prior to the release of Dylan's own version. The song's jangling, melodic guitar playing (performed by McGuinn on a 12-string Rickenbacker guitar) was immediately influential and has remained so to the present day. The group's complex harmony work, as featured on "Mr. Tambourine Man", became another major characteristic of their sound. 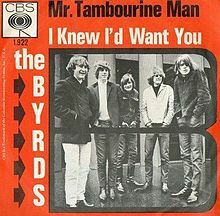 Due to producer Terry Melcher's initial lack of confidence in The Byrds' musicianship, McGuinn was the only Byrd to play on "Mr. Tambourine Man" and its B-side, "I Knew I'd Want You". Rather than using band members, Melcher hired The Wrecking Crew, a collection of top L.A. session musicians, who (with McGuinn on guitar) provided the backing track over which McGuinn, Crosby, and Clark sang. By the time the sessions for their debut album began in March 1965, however, Melcher was satisfied that the band was competent enough to record its own musical backing. The Byrds' recording of the song opens with a distinctive, Bach-inspired guitar introduction played by McGuinn and then, like Dylan's version, goes into the song's chorus. Although Dylan's version contains four verses, The Byrds only perform the song's second verse and two repeats of the chorus, followed by a variation on the song's introduction, which then fades out. The Byrds' arrangement of the song had been shortened during the band's rehearsals at World Pacific Studios in 1964, at the suggestion of Jim Dickson, in order to accommodate commercial radio stations, which were reluctant to play songs that were over two-and-a-half minutes long. Thus, while Dylan's version is five-and-a-half minutes long, The Byrds' runs just short of two-and-a-half minutes. The lead vocal on The Byrds' version of "Mr. Tambourine Man" was sung by McGuinn, who attempted to modify his singing style to fill what he perceived as a gap in the popular music scene of the day, somewhere between the vocal sound of John Lennon and Bob Dylan. The song also took on a spiritual aspect for McGuinn during the recording sessions, as he told The Byrds' biographer Johnny Rogan in 1997: "I was singing to God and I was saying that God was the Tambourine Man and I was saying to him, 'Hey, God, take me for a trip and I'll follow you.' It was a prayer of submission." 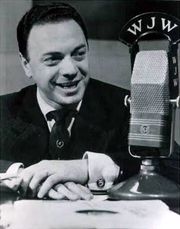 In 1965, Alan Freed, who many credit with coining the term "Rock and Roll", died at the age of 43. Freed was a Cleveland disc jockey who started promoting dances that featured the top artists of the day, including, Chuck Berry, Fats Domino and Jerry Lee Lewis. After moving to New York and appearing in some teen movies, he was caught up in the payola scandal of 1959 for accepting money for playing certain records on his radio show. Before his death, he was virtually broke and fighting charges of tax evasion. It was a sad end for one of Rock and Roll's most important pioneers. Also in 1965, the Rolling Stones and the Kinks make their first appearance on ABC-TV's Shindig! Also appearing were the Dave Clark Five, Petula Clark, Bobby Vee, Bobby Sherman and Gerry And The Pacemakers. In 1966, in San Francisco, promoter Bill Graham held a three-day "Trips Festival" at Longshoremen's Hall, featuring the Grateful Dead, Big Brother and the Holding Company, and Ken Kesey and the Merry Pranksters. In 1968, John Fred's "Judy In Disguise (With Glasses"), a song title inspired by the Beatles "Lucy In The Sky With Diamonds", knocked the Fab Four's "Hello Goodbye" out of Billboard's top spot. It reached #3 in the UK. In 1972, Pink Floyd premiered Dark Side of the Moon during a concert in Brighton, England. In 1973, Jerry Lee Lewis was booked to play the Grand Ole Opry on the condition that he would stick to Country and Western tunes only. Jerry did just that for a while, but eventually broke into his old Rock hits from the 50's, while swearing up a storm. He proclaimed, "I am the rock and rollin', country and western, rhythm and blues singin' motherf***er." 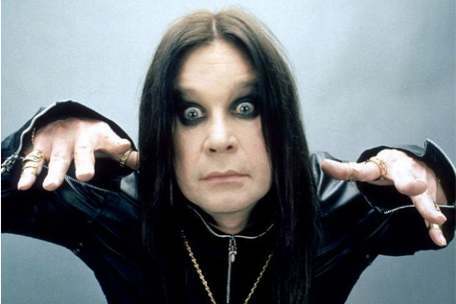 In 1982, Ozzy Osbourne bit the head off of what he thought was a plastic bat thrown at him during a concert in Des Moines. The bat turned out to be real and Ozzy later went through a series of injections against rabies. In 1988, the Beach Boys, the Beatles, the Drifters, Bob Dylan, Berry Gordy, Jr., Woody Guthrie, Leadbelly, Les Paul and the Supremes are inducted into the Rock and Roll Hall of Fame during ceremonies at New York's Waldorf Astoria. During the Beach Boys acceptance speech, vocalist Mike Love insulted just about everybody in the music business, including Paul McCartney, Diana Ross, Bruce Springsteen and Mick Jagger. In 1999, Bill Albaugh, drummer for The Lemon Pipers on their 1967 US #1 single "Green Tambourine", died at the age of 53. In 2000, bassist Ray Jones of Billy J. Kramer With The Dakotas died at the age of 60.